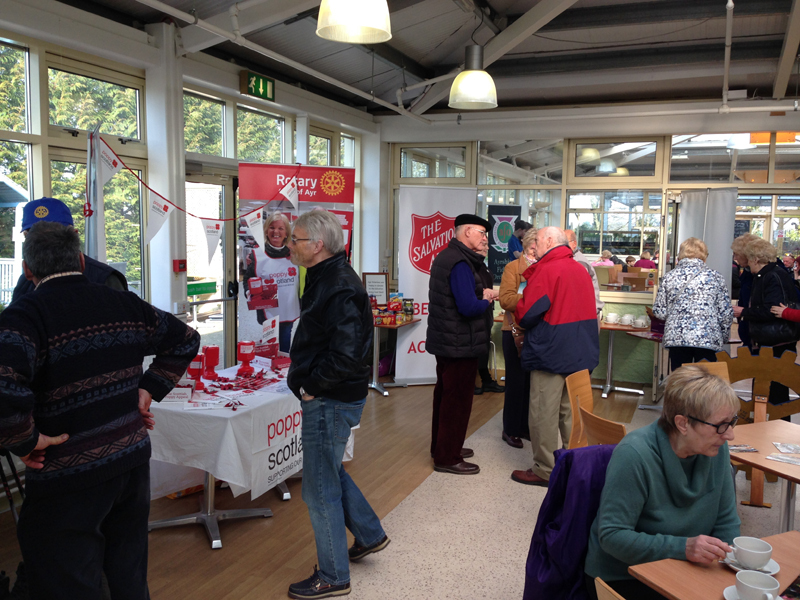 Our popular annual exhibition event took place in the conservatory at Dobbies Garden Centre on Saturday morning. After a slowish start, interested folk began to drift in and there was quite a buzz through the core mid-morning period. The final visitor headcount was down on previous years which was attributed to the poor weather. 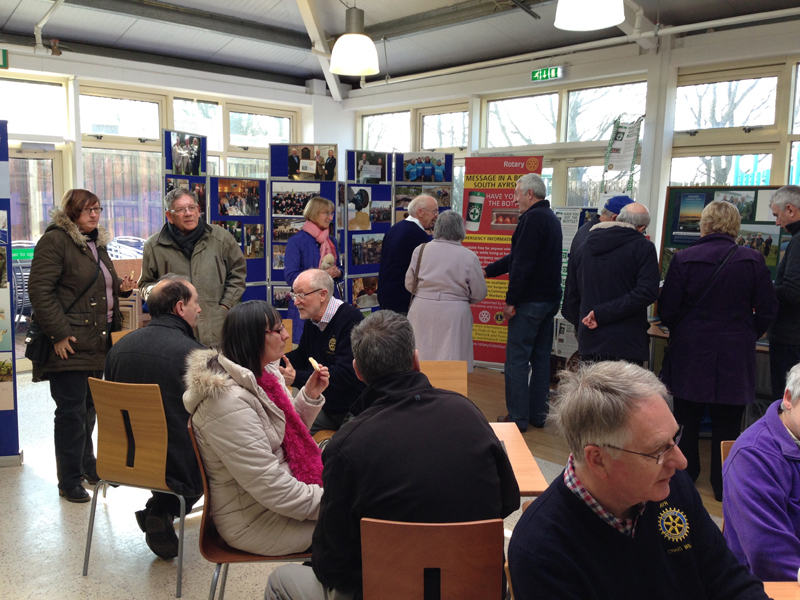 However this did not dampen enthusiasum of the Rotarians or visitors. 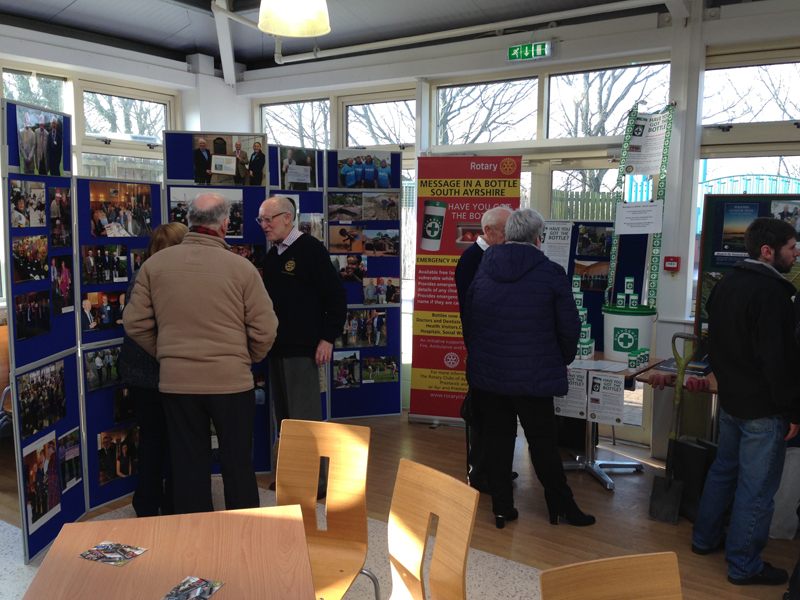 Display boards had been updated and the high standard of presentation was much admired. 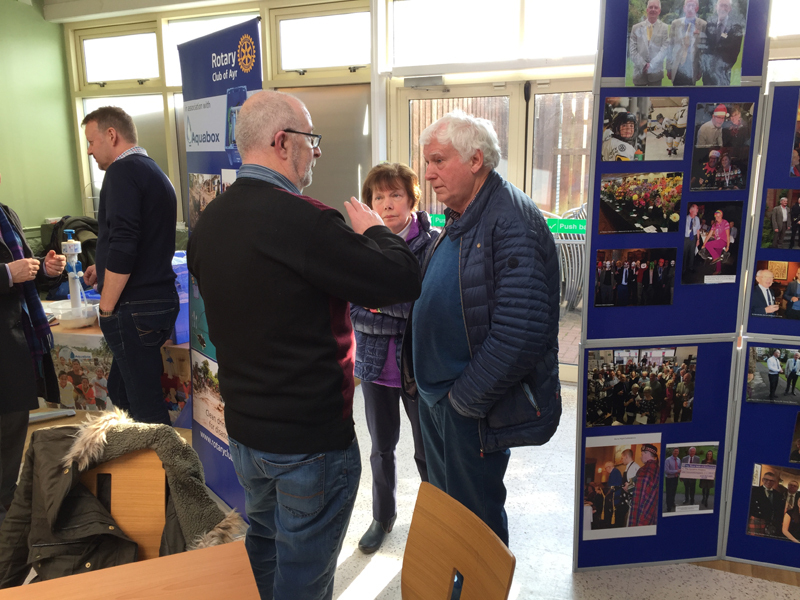 Our range of activities (Treasure Chest, Message-in-a-Bottle, Poppy Scotland, Ayrshire Coastal Path and Aquabox) attracted a great deal of interest and lively discussions were seen and heard around the various display stands. Jaunty musical entertainment was provided outside the conservatory by three, talented members of Kyle Academy music department and Dobbies staff ensured that visitors and members alike were supplied with ample refreshment and shortbread. Thanks are due to all those who took part and who assisted in setting up the night before. Particular thanks goes to Dobbies for once again allowing us the use of such suitable premises and to the Savoy Park Hotel for donating the raffle prize of a voucher for a meal for two, won by Bryce & Aileen Wilson of Ayr.